Have you wanted to get your kids out in the snow? 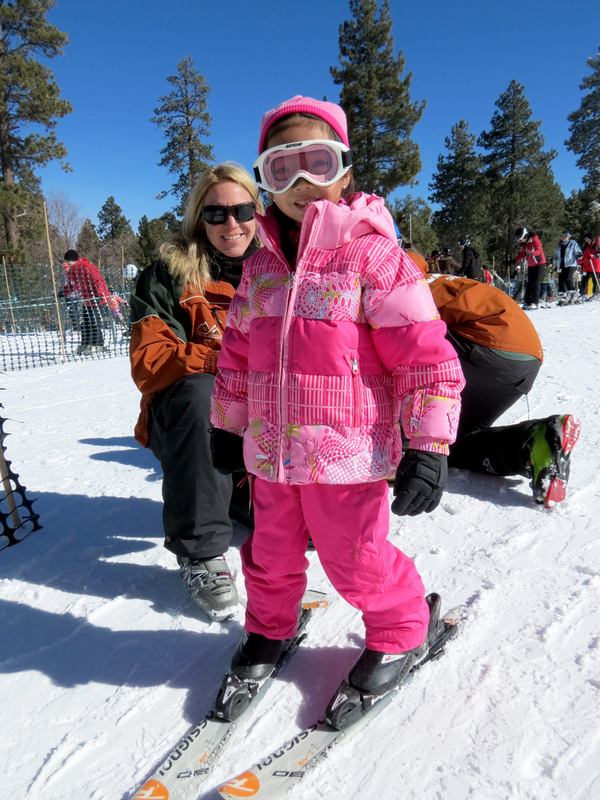 January is the perfect month to start them on skiing and snowboarding at Bear Mountain and Snow Summit. Why? You ask? It is National Learn to Ski and Snowboard Month! These resorts are offering FREE rentals to all first time skiiers and snowboarders, ages 8 and older with the purchase of a beginners package! They do this to get the children out of the house and into nature to try something new! It builds confidence, skills and unforgettable memories. Both resorts offer a variety of lesson options such as; Parent and child group lessons, all-day camps or personal private lessons. The beginner packages start at $59 so it doesn't hurt the wallets too bad. “Learning to ski and snowboard creates unforgettable experiences as well as develops confidence. The “BIG” Deal - Valued up to $248! 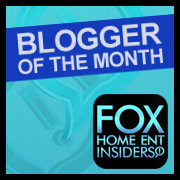 Facebook and Twitter as well as Bear Mountain's Facebook and Twitter throughout the month! Lesson reservations are required. Book now online. About BBMR – Real Snow. Real Close. Real Deal. Big Bear Mountain Resorts (BBMR) includes Snow Summit and Bear Mountain. BBMR is an equal opportunity service provider operating under a San Bernardino National Forest special use permit. # # #The ski resorts in Big Bear cater to all ages for both beginner and intermediate classes. The resorts offer lessons that are conducted by qualified, professional instructors that know the ins and outs of getting up on skis or a snowboard. It’s a fun environment with no pressure. For the little tykes there is Little Bear Camp and Little Bear School at Snow Summit where kids as young as three and four years old can get started on the bunny slopes. At Bear Mountain there is Riglet Park, where kids from three to six years old are introduced to ride on miniature park features by using Burton’s innovative Learn-to-Ride Technology. 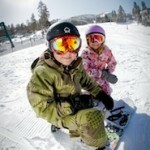 Kids in the 8-12 age range are the perfect example for learning a new snow sport. They are at the age where they are more motivated, and have adapted better physical abilities. 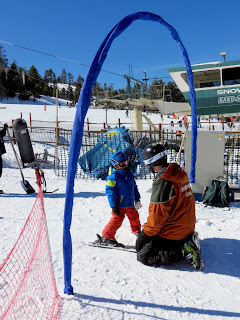 Both Bear Mountain and Snow Summit provide ideal beginner terrain for this age group. Of course the ski resorts offer adult classes too. The classes are for persons age 13 and older. One of the great things about learning a new snow sport is it is never too late to learn. This is one winter activity where “you can teach an old dog a new trick!” Snow Summit has reported to have taught people in their seventies how to ski for the first time. There are adults that have skied before, but now want to learn how to snowboard. 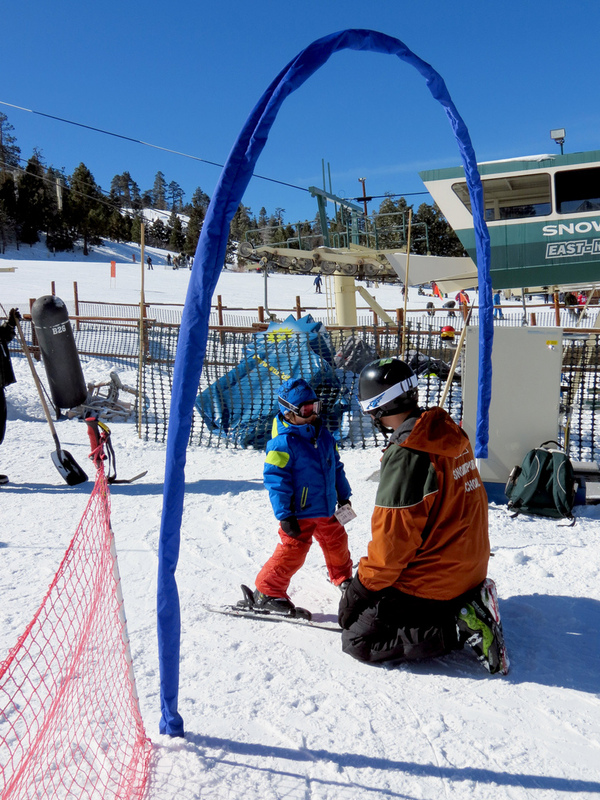 At Big Bear Mountain Resorts this in not a problem and Big Bear’s qualified instructors will show anyone who wants to learn the ropes of having fun on the slopes. Big Bear's Snow Play GIVEAWAY! The Children's Place! Plus a GIVEAWAY!